If we could go back in time to the spring of 2017, what would we experience as observers of European football? The success of teams from Spain, I would argue, would be a big ingredient to understanding the 2016/17 season in football. Four teams in the Round of 16, two in the semi-finals (both Madrid-based), and a champion of Europe is exactly the dominating presence we’ve come to expect from La Liga’s finest clubs. However, three months into the new season, Atlético Madrid and Real Madrid have been performing like shadows of their former selves. Much was made over the summer of Real Madrid’s chances to win a third-straight Champions League title. I tended to agree with that analysis – besides, how could a team with the most clinical finisher, best midfield pairing, and an acute culture of victory not be favored? Juventus were the best competition Europe could throw at Los Blancos and they passed with flying colors. Why then, are Real sitting 8 points behind FC Barcelona with only eleven matches played? In speaking with many supporters of Real over the past few weeks, I’ve come to gather a good sense of the club’s recent atmosphere. Los Merengues are confident, as per usual, but there are some issues that must be addressed if they’re to turn the season around. Not only are Real trailing Barça by quite a margin, they’ve drawn and lost their fixtures against European foes Tottenham Hotspur. The negative press was largely non-existent when Real Madrid decided to sell some of their top rotational players this summer, which was somewhat of a surprise to me. Álvaro Morata, James Rodríguez, and Danilo were all sold to other European giants, while tenured defender Pepe left for Turkey. While the purchases of Theo Hernández from Atlético Madrid and Dani Ceballos from Real Betis – as well as the return of on-loan Borja Mayoral – are very sensible purchases, that depth was not fully recovered. While the likes of Cristiano Ronaldo, Toni Kroos, and Sergio Ramos have the ability to win matches single-handedly, Madrid’s busy schedule requires a certain amount of depth for weekend fixture. For example, Morata played 26 matches last season despite acting in the “backup” striker role. The trio of Danilo, Morata, and James combined for 78 La Liga appearances in 2016/17 – that’s a great contribution. Carlo Valladares, a fantastic tactical analyst covering La Liga and European football, believes that the problem for Real Madrid is binary. Not only have individual players been “awful at their roles” in both of Madrid’s systems (possession and counter-attacking), but Madrid’s tactics are predictable. “Eibar, Girona, and Tottenham all used a 3-5-2/5-3-2 variation to defend higher up,” says Carlo. Real lost against Girona and Spurs and won against Eibar, but the performances were all lackluster. While Real Madrid is certainly the world’s most talented team, that talent hasn’t quite been unmasked this season. The traditional backbone of the team, “Ronaldo, Kroos, Marcelo, and Ramos,” have all been underperforming to a massive extent ever since the final in Cardiff. As an example, Ronaldo’s conversion rate is down from recent years and Kroos’ key pass rate has dropped from 2.8 to 1.8 per match (La Liga). In addition to this, Carlo adds that “Raphaël Varane and Dani Carvajal are massively missed. They’re under-appreciated by neutrals, but are world class.” Luckily for Madrid, these two players look to be regaining health quickly and should be back with the first team soon. It does, however, show a relatively shocking lack of depth that players like Achraf Hakimi and Nacho are plunged into starting roles due to these absences. To many, Los Blancos certainly should’ve kept the likes of Pepe and Danilo for instances just like these. Many have found the recent struggles of Real Madrid to be quite surprising, but the fact remains that they’re in a better position than their cross-city rivals – Atlético Madrid. Real are still in a great position to qualify for the Champions League knockout rounds, but the same cannot be said for Atleti. Los Rojiblancos are level on points with Real in La Liga, but have only reaped three points in their Champions League group thus far. While Atlético Madrid have certainly struggled this season, they’ve only lost one match (Chelsea). What this means is that they’re very tough to beat, very defensively sound, but not good enough in creating and scoring chances. “Atleti are really good at killing off the middle,” says Carlo Valladares. “They compact the middle but press mildly at the same time.” Diego Simeone’s squad is probably the hardest to break down in all of world football – so what’s the issue? A big part of the issue is certainly an underperforming attacking unit. Antoine Griezmann, the heart and soul of Atlético’s attack, has seen his involvement in build-up decrease drastically since last season. Coupled with poor shooting and creation across the squad (Griezmann is the only player with over one shot on target per match – Real Madrid have 5), this is a recipe for a humdrum attack. If you’re still not convinced, consider the fact that Atlético Madrid have only scored 2 goals in four matches this season. That’s only a quarter of their matches in all competitions. Once again, the question must be asked: why is this happening? Well, similarly to their cross-city rivals, Atlético are facing up against teams that know how to suffocate them. Atleti is very good at remaining compact on defense, then quickly transitioning to a counter-attack and scoring. This type of play allows the attackers freedom of movement in the final third unlike any other tactic. Unfortunately for Atleti, this freedom has been taken away this season. For proof, look no further than the two matches against Azeri side Qarabag FK in the Champions League. Carlo Valladares, who also happens to be an avid Atlético fan himself, has attempted to diagnose this problem. “Qarabag is a team that sits deep and compact the whole match. Atleti can’t break down compact low-blocks to save their life.” Sound familiar? Teams are using Atleti’s tactics against them, simply because they know Los Rojiblancos are ineffective when attacking against these compact tactics. Quite simply, Diego Simeone is getting a taste of his own medicine. Another possible reason for Atlético’s struggles is a lack of personnel. Last summer’s transfer ban was a big blow to a team that really needed some reinforcements, and the pre-purchase of Diego Costa is a sign that the club knows that more players are needed. 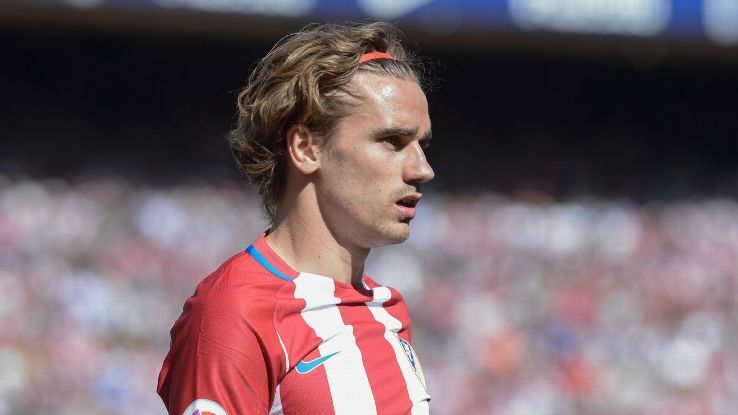 It’s a good thing that Griezmann decided not to leave, as they’d be in quite a hurt if the Frenchman had moved abroad over the summer. Prospects for the Future – Can These Issues be Fixed? To this point, we’ve diagnosed the problems for both Real and Atlético Madrid’s struggles in both La Liga and Europe. As a recap, Real Madrid seems to be struggling because of tactical stagnation, poor player performances, and a lack of depth. Contrastingly, Atleti’s issues arise from a combination of poor attacking play, an inability to create chances against compact defenses, and a dry squad following a summer with no transfers. How can these issues be fixed, and which team will come out of this rut in a better position to succeed? Firstly, it must be said that Real Madrid is still the most talented team in the world. Across the pitch, world-class players are sliding on the white kit of Los Blancos, but they’ve just simply not performed to this point. When you look at the sheer talent, you have to imagine that most of these players will be picking up their performances throughout the next couple months and beyond. In addition, injury-stricken players like Gareth Bale and Dani Carvajal will be looking to stay injury-free throughout the rest of the campaign, enabling them to contribute greatly towards Real’s efforts. Cristiano Ronaldo has scored some crucial goals in the Champions League, but his La Liga form is anything but impressive. 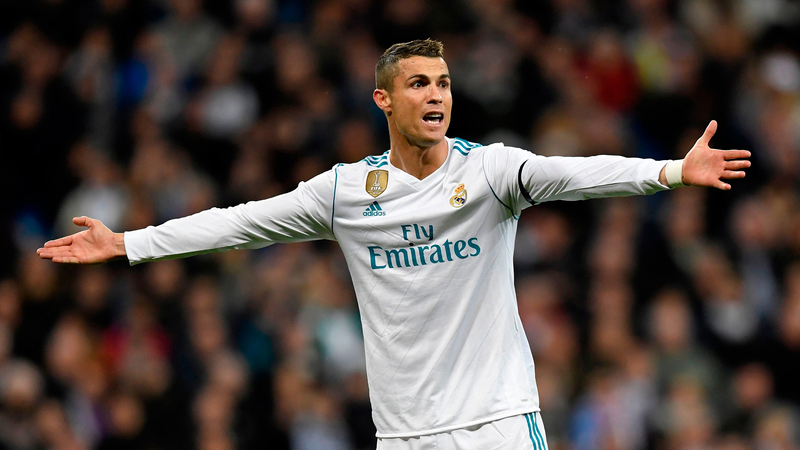 For Real Madrid to turn their season around, the Portuguese superstar will need to improve his efforts up top (Goal.com). Real Madrid could also use a bit of reinforcing to the lineup. While this could certainly come in the January transfer window, there’s already talent in the squad that’s ready to make an immediate impact in big games. Notably, Marco Asensio has been superb, and the likes of Dani Ceballos and Mateo Kovačić have undoubted talents as well. Look no further than Asensio’s performance last Sunday, which left Carlo and I amazed. Finally, Zinedine Zidane needs to sort out this team tactically. As we’ve covered, Real’s tactics have been relatively dull and repetitive, which makes them predictable and easy to counter. A certain amount of dynamism needs to be instilled in this squad as soon as possible. Thankfully for Madridistas, they have the world’s most talented squad one of the world’s best coaches to try and achieve this fix. So, we can conclude that Real Madrid will probably turn this season around and be successful. What about Atlético Madrid? The problem is certainly a lot blurrier and difficult. While they’re still an extremely difficult team to beat, it’s clear that a lot of things must be changed. Teams have adapted to Simeone’s attacking tactics, basically neutralizing the likes of Griezmann and Yannick Carrasco. To break down low-block defenses like Real, Barça, PSG, and Manchester City can, they will need talent. Unlike their Madrid rivals, Atleti can unfortunately not rely on fantastic depth in most positions. They desperately need a transfer window to bring in more talent, especially up front. That won’t happen until at least January, so they’ll likely struggle for the rest of the calendar year. However, this result is not set in stone. Let’s not forget that Atlético Madrid are still one of the world’s most talented clubs – Antoine Griezmann, Koke, Carrasco, and Saúl Ñíguez are some of the most technically proficient players in the world, and young striker Ángel Correa has been making a name for himself as Griezmann’s partner up top. With Diego Costa arriving in January, a fine run of form is definitely not out of the equation for Los Rojiblancos. The rivalry between the two largest Madrid clubs is one of the fiercest and most competitive in the world. Unfortunately for spectators and supporters, neither side has met expectations thus far this season. However, it would be immensely shocking if neither are in a much better position by the end of the season – continentally or domestically. Real Madrid and Atlético Madrid are better than this, but things must change soon. Special thanks to Carlo Valladares, my colleague at Falbros Media Group and a tactical analyst published across many websites. Make sure to give Carlo a follow on Twitter here and catch-up on his fantastic work on ESDF here. Player & Team statistics provided by Transfermarkt and WhoScored.